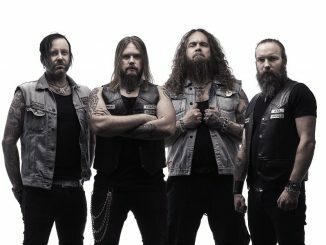 One of our favorite bands is back with a new release next week, Corroded: Bitter! 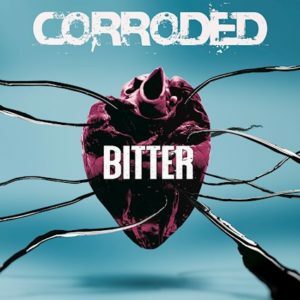 Swedish rockers Corroded are set to release ‘Bitter’ on January 25th via Despotz Records. For those of you who’ve been with us for a while now, you will recognize this face melting band from the mind wrecking review of their last album ‘Defcon Zero’ back in 2017 where yes, I completely lost my mind!! 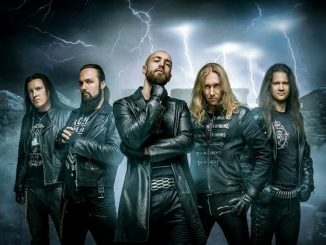 Which subsequently lead to them being the MUST SEE band at Sweden Rock 2017 for us! Then ‘Defcon Zero’ went on to rank as our #1 Album of 2017. Well, it looks like these guys are going to be giving all the other bands out there one hell of a battle to place on our Best Albums of 2019 list again! The guys have been teasing fans the last couple of months while also letting fans see how fun they are with a couple of fun videos releases for “Cross” followed by “Burn”. Which let me just stop for a moment and thank vocalist, Jens Westin for taking one for the team with that shiny silver body suit he wore in “Burn”, while laying on the floor spinning in circles! Epic video, it’s linked it below for you to enjoy!! Now that I have the full album tightly in my grasps, I can tell you that you should be prepared! Prepared for another swift kick in the face! How the hell Corroded managed to do this with two consecutive releases is beyond me, but hey I am not bitchin’ and will just bend over and let them kick me repeatedly while I listen to this killer album. This album is dark, heavy, a bit melancholic and rage worthy. With a well versed blend of tempos, there’s time to rage and time to catch your breath throughout ‘Bitter’. The album starts out with a short haunting instrumental intro with an almost subdued EDM/Synth-Pop feel before it rips open with “Breathing” to which I just about stopped breathing myself thinking they were trying to fill my ears with something other than their classic raw hard rock!! But alas, the heavy triggering riffs, crushing drumming tempo and gritty vocals kicked in and revealed the start to yet another glorious musical explosion! Rest assured, your fists will be pumping and heads will be banging right away! Don’t even think you’re going to get a moment to calm down! As the album progresses into “Cross”, one of the heavier tracks on ‘Bitter’, you will feel the blood pulsing through your veins. This is a classic Corroded track! Heavy in every way imaginable, it’s completely glorious! You’ll continue this insane journey with “Burn”, and once again… manic tempos filled with anger, especially as the word “Buuuuurn” rolls off Westin’s lips in an intently slow, deep and angry growl. Just as you reach the midway point of the track, there’s a subdued guitar piece that’s an almost acoustic Spanish guitar style that slows it down briefly before it rips wide open again. This was a truly unique addition to make this track different from the others on the album. The album then slows down for the longest track on the album coming in at a play time of 6:13. The melancholy track “Black”, is what I think is the breather track to let the guys slow down to survive their live performances! This track has a dark feel through out from the vocals to the music, even the lyrics. It’s a great slow down with a great vibe, dark and melodic at the same time. As the track leads out with strange, haunting moans…. I hope you’ve enjoyed the break, caught your breath and have braced yourself for the insanity to follow on this album. The party really kicks off with the next four tracks “Testament”, “Scream”, “Cyanide” and “Destruction”. I have a feeling these will be the pit stirring songs during their live shows! Perfect tempos and angry feel to make the crowds go crazy and get their pit maneuvers on! Make sure to listen for the solo in “Testament”, it’s one you want to hear! And as much as they will try to convince on the track “Cyanide” that they are the stuff your nightmares are made of, they clearly are the stuff my dreams are made of! As of now I am already dreaming of summer to catch these guys back out on tour as they hit the Swedish festival circuit where I know already that we will be covering at least one of these dates, Helgeåfestivalen in July!! “Destruction” carries on with the manic tempo but has this great solo with high-pitched riffage that is sorely missed in rock music quite often today. Now let’s address the last three tracks on ‘Bitter’. First, a bit of a breather with “Time”, still raw and heavy, but a step down in the intensity, then another punch in the face with “Drown”. I thought the guys were wrapping it up, but nah… I got that seriously wrong. But I did notice a feel of ‘Defcon Zero’ in this track that sent me back and reminded me how much I enjoyed that album. Glad to see they haven’t moved entirely away from their sound on this new album. And we’ve come to the end, the last track on the album, “War”. If you’ve spent anytime listening to ‘Defcon Zero’, you will appreciate the way the band managed to throw in a reference to “Carry Me My Bones” in the lyrics on “War”. This last track is a bit distorted, heavy, and melodic. There are bits and pieces of what Corroded does so well in their music all throughout this track, as well as the entire album. There’s a great push and pull of tempos on this track and a great way to wrap up the listener’s experience. With an approximately 52 minute play time on this album, it’s enough to let you rage, but still leaves you wanting more!! And yes, I screamed until my lungs gave out!! Thanks Corroded, I needed a new raging album for inspiration at the gym to take my workouts up a notch or 10! and this is it! These tempos are going to up the game! If there’s one album I am THRILLED to have in 2019, it’s absolutely without a doubt, ‘Bitter’! And trust me, that’s saying a ton with already hearing Evergrey and Soilwork’s new albums that just released too that were insanely amazing! 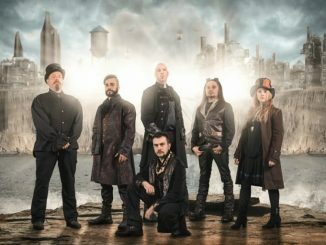 There’s some heavy competition in rock and metal this year and Corroded isn’t just simply putting out an album to put one out. They are releasing one tough to beat album! It’s a must have album for 2019. As a fan, I have already pre-ordered their vinyl and I highly recommend you do the same immediately!! You still have time to order yours through links are below. If you don’t have their last album, grab that one while you are at it! 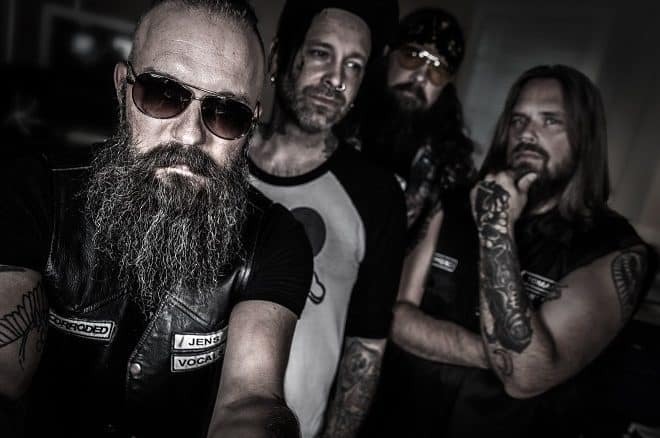 On a side note, we chat with Corroded’s drummer Per Soläng about his gear in December. You can check out the Geargasm piece in our December 2018 issue of YesterdazeNews Magazine here. We will be bringing you more Corroded coverage throughout the year so look for that to come!! If you haven’t gone and liked their pages, go do that now!